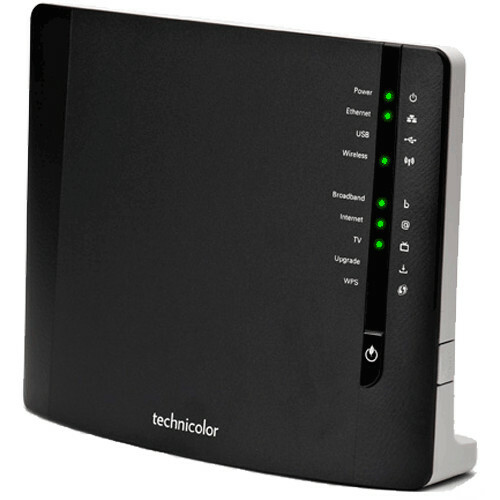 The Technicolor TG589vn v3 is a small office/home office router, ideal for Fibre-to-the-Cabinet or ADSL connections. 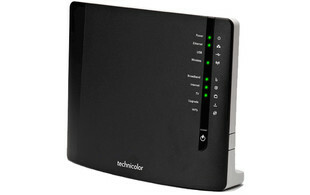 This router is similar to Technicolor's TG582 model, but due to it's enhanced hardware it is more suitable for faster connections. With a simultaneous operation of 802.11b/g/n, you'll get great WiFi speed and stability. This IPv6 enabled router features four Fast Ethernet LAN ports and offers a seamless connection of wired and wireless devices from anywhere in the home or office. The integrated modem supports ADSL, ADSL2, ADSL2+ and VDSL2. The Technicolor embedded firewall protects both your wired and WiFi networks. The router has a simple to use web interface, ideal for customer use. There is also an in-depth command-line interface available for more technically minded people.